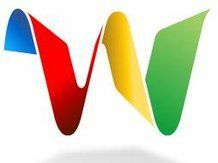 The eagerly anticipated Google Wave – a personal communication and collaboration tool – will be given a limited trial in selected schools and businesses this autumn and released to all Google Apps users in 2010. Google Wave, which was announced to the Google developers' conference back in April, promises to bring a collaboration tool that integrates files, chat, communication and collaboration to the cloud. "Today we're pleased to announce that we'll be opening up access to Google Wave for some schools and businesses as part of the preview this fall," Google announced on its Apps blog. "And while we won't be able to open it up to all Google Apps users just yet, we hope to bring Google Wave to all Google Apps users next year." The post – which includes an opportunity to sign up to the 2010 trial for Google Apps admins – also tries to explain a little more about what Wave can bring to the world. "A wave is equal parts conversation and document, where individuals communicate and work together in a multimedia environment – the wave itself. "Whether there's a report to write, an event to plan, research to do or communications to conduct, we're building Google Wave so people can be more productive and collaborate more effectively in a real time environment. "Users can insert text, photos, gadgets, maps, web feeds and edit instantaneously. "It's communication and collaboration, conversation and document, in one unified, cloud-based space."